It’s been over 10 years since the Aston Martin DBS engine note blew me away in the opening car chase to 2008's Quantum of Solace and I’ve never forgotten it, but the new Bond movie is reportedly going to be much different, with Bond driving the upcoming electric Aston Martin Rapide. Starting with the DB5 in 1964's Goldfinger, Bond has had a very long, off-and-on working relationship with Aston Martin. Daniel Craig’s portrayal of the character has driven the DB5, DBS, and the DB10, which previewed the eventual production version of the new Vantage. ﻿Director Cary Joji Fukunaga, 41, wants star Daniel Craig, 51, to be seen behind the wheel of a limited edition Aston Martin. It’s not uncommon for the team behind a Bond production to work directly with Aston Martin on Bond’s new car. Aston Martin often uses the Bond franchise to preview or advertise a new model, as with the DBS in Casino Royale and Vantage in Spectre. 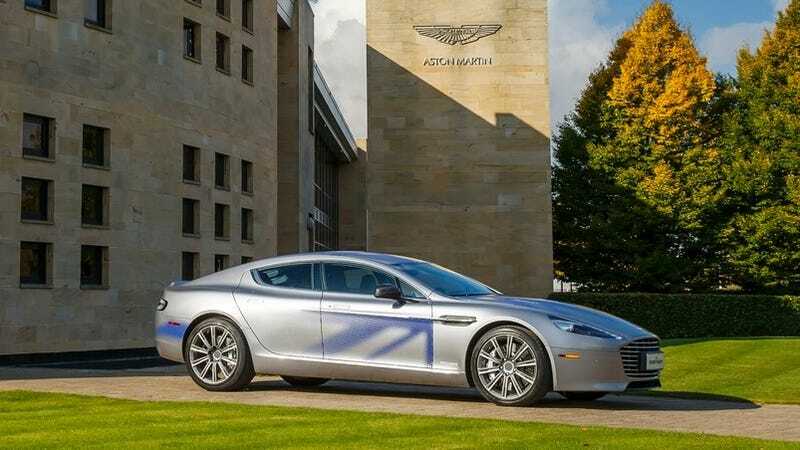 It would make sense that putting Bond in the brand’s first electric car, the electric Rapide sedan, might give what would otherwise potentially seem like a lesser Aston the cool factor it may need. As for Bond driving an electric car—I don’t really buy this nonsense about doing it as part of some zero-emissions messaging. As a longtime fan, I’m hopeful they treat the electrified powertrain as a sort of gadget. Electric cars are a little quieter than combustion engine cars, and they’re often capable of ridiculous acceleration times. Maybe there’s more room to package bigger gadgets in the car itself. Hopefully the production team does something special if Bond really is driving an electric Rapide in the upcoming 25th movie, but judging by the disappointing car chase between the DB10 and the Jaguar C-X75 in the previous movie, I’m not going to get my hopes up.